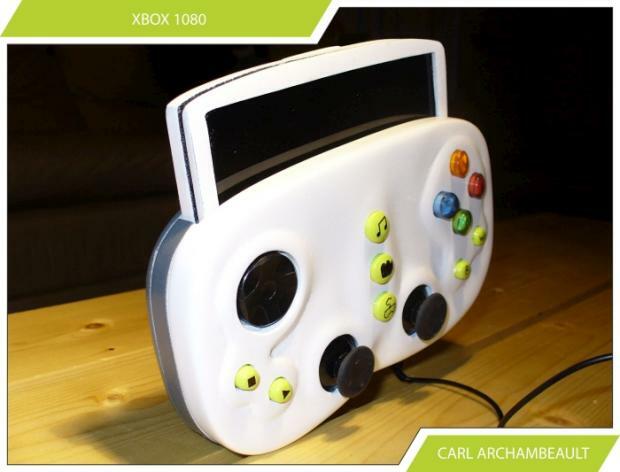 Not-actually-real portable Xbox 360 anyone? 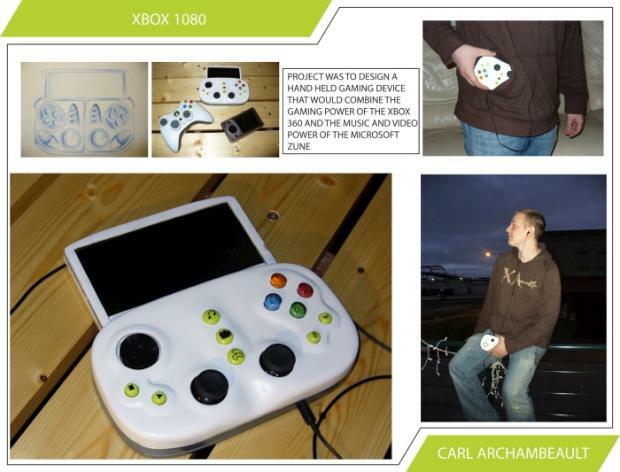 Here’s the “Xbox 1080” prototype from Carl Archambeault, an impossibly portable console with a slide-out LCD screen. Where do the optical discs go? Who knows? And what’s the battery life? Let’s say 100 hours! The project is an attempt “to design a hand held gaming device that would combine the gaming power of the Xbox 360 and the music and video power of the Microsoft Zune.” That’s an idea that Microsoft itself is apparently working on, but something like this prototype here would be mighty nice to add to your portable gaming collection, no?